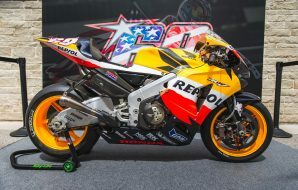 One of the most controversial MotoGPs of recent years? Each and every circuit has their own unique story and this one plucked my curiosity with its windswept airfield character and colourful history. Silverstone is a track that has incorporated its roots into its layout and has been tested with its fair share of complications. Balancing safety and spectacle is an essential element for a successful Grand Prix and this year Silverstone has faced an intense amount of criticism after their mission to resurface went wrong. Last weekend was one of the longest and strangest to date. Cultivated from a World War II Royal Air Force bomber station into one of the most well known of its kind, the venue has a historically unique timeline. In 1943, RAF Silverstone became the base for the Royal Air Forces 17th Operational Training Unit. Its fundamental duty was to drills aircrews of the Vickers Wellington, twin-engined bombers used in combat but unfortunately (or fortunately) their days were short-lived. The former RAF aerodrome would lay dormant for four years before an unusual proposition was arranged and the first notion of motorsport would take place. It is alleged that Maurice Geoghegan, a local resident owned a Frazer-Nash sports car but was unable to flaunt its real capabilities on regular town roads. Aware of the abandoned airfield, he along with several other car fanatics, over a gentleman’s agreement organised an impromptu race around the abandoned runways. This ignited interest in the creation of an official circuit and in 1948 James Wilson Brown, a local farmer was employed by the Royal Automobile Club to transform the location into a fully functional race track in only two months. The route was laid out with rustic oil and straw barrels and behind a single rope stood hundreds of spectators. 100,000 onlookers attended the inaugural event at a facility that finally sealed their position on the motor-racing map. 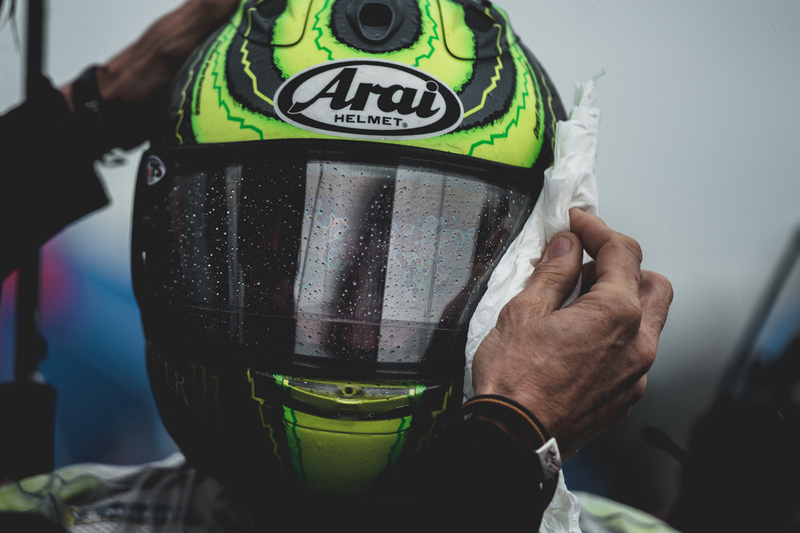 He was backed by Cal Crutchlow: “the circuit was not really in the condition to ride 300hp Grand Prix bikes around it with standing water”. Not only were these bumps causing the bikes to move an awful lot, they were forcing the rider to constantly fight with their machinery. 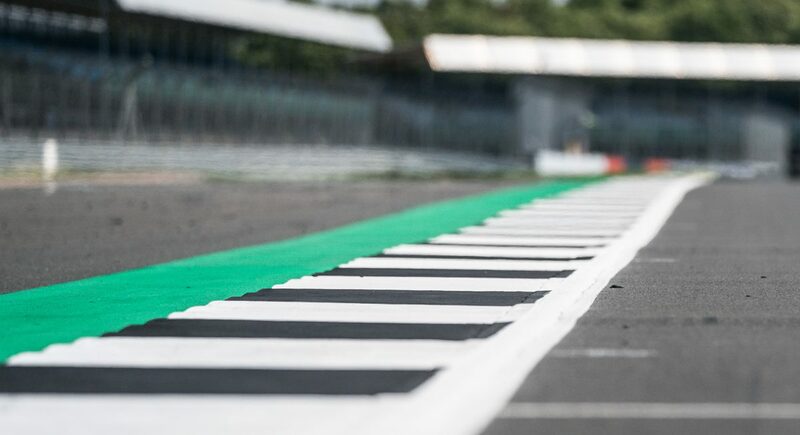 Jorge Lorenzo was among the riders who felt unsafe with the combination of the rain and new tarmac: “as a rider, we don’t feel safe on the bike because of the type of asphalt. We don’t want to take a very high risk”. Tito Rabat was the only victim of the weekend and suffered a broken tibia, fibula and femur after he was clattered by Franco Morbidelli’s careering and aquaplaning Honda. Above all else, riders are only human. They may heal fast with help of professionals, have an unbelievable pain threshold and thrive off the adrenaline of high speeds but they aren’t racing to get hurt and we shouldn’t expect them to put their lives on the line. We watch MotoGP to see clean fighting and safe riding not to witness crashes. Alex Rins appeared blank faced as he spoke to the media: “They did a bad job with the asphalt. We need to think of our lives, not of the risk” and just like that he put it perfectly. There is more at risk racing in conditions like Sunday than to not race at all. 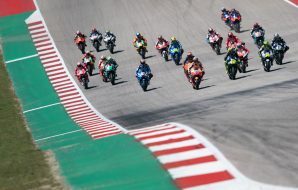 Bradley Smith was yet another rider who was in favour of canceling the race: “We have more than 80 riders to take care of and it only takes one mistake out there. Especially in the early laps out there, visibility was poor, aquaplaning everywhere. My two laps going to the grid it was clear we couldn’t race”. 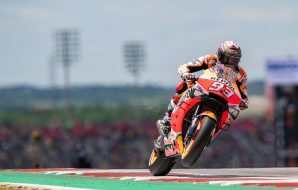 I am no expert in the science behind riding a MotoGP bike but the combination of a very powerful motorcycle, slippery tarmac, rain and an uneven surface does not sound conceivable to me. We have been blessed with races in the past which have played a key role in championships and watched the intensity of battles on the edge of our seats. This year, wasn’t the year for that and that is ok. These men are not superheroes with sinuous capes and enigmatic masks. They’re human beings who break, bleed and even feel fear. Something we tend to forget because of their fearless philosophies. Add in a circuit like Silverstone and you can get a world class show or a complex mess. This circuit has been moulded from the bare minimum – drums and straw – and today shaped into what they declare ‘the home of British racing’. It has and always will be a fan favourite with its long history. Sunday may not have been the race day we all expected but it might be one used to guide the future of circuits and their blueprints.